Take two Bournemouth pensioners, Wilf Turnbull and Derek Philpott, who over a chicken drumstick at a wedding reception, wondered why the band Living In A Box would want to live in a cardboard box when pop-stars are pretty well paid or how The Jacksons could blame a failed romance on the boogie? Wilf and Derek soon realised that The Jacksons and Living In A Box were not the only culprits of lyrical ambiguities or inaccuracies and they uncovered more dubious claims and declarations, they decided to tackle this as a matter of urgency by writing to the artists themselves. The letters started to become popular and Wilf and Derek’s ‘adventures were turned into a brilliant short animated series to compliment the letters. Many of the artists started to reply, with hilarious results. 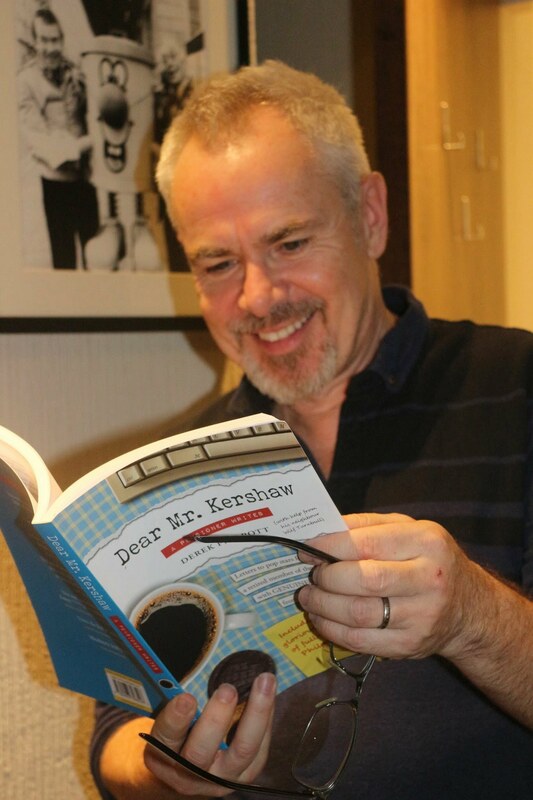 Such became the fan base of Wilf and Derek, that the letters have been published into Dear Mr. Kershaw – A pensioner writes funded by overwhelming support, that a Kickstarter campaign saw around 700 backers pledge over £18,000 to bring the project to life. Nik Kershaw absolutely loves it, as do many of the other artists who found themselves under Wilf and Derek’s scrutiny. Level 42, Del Amitri, Howard Jones and Kim Wilde are also among some of the musical legends who feature in the 60 or so letters and subsequent replies from the artists themselves that make this book unmissable. Demand for Dear Mr. Kershaw – A pensioner writes continued as word has spread and this wonderful compilation is again available to order at Plane Groovy Records now.